One of The type of ships used by the Danish Navy was the frigate. 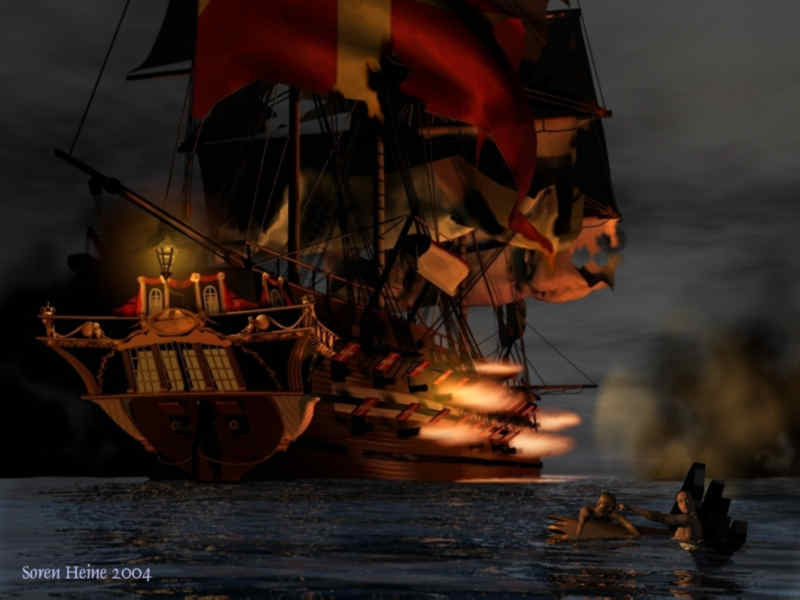 The frigate was also full-rigged with three masts, but had only one closed gun deck. Its role was primarily to stay behind the line and to assist the ships of the line from there. The frigate would bring new men and fresh supplies and maintain communication between the ships. Because of its good sailing qualities the frigate was often used as a guard ship and for convoying. 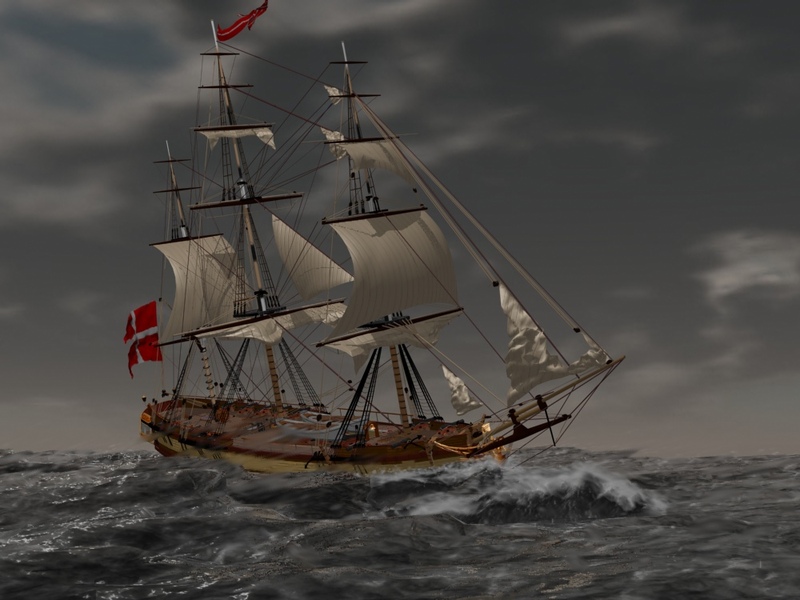 For several centuries the ships of the Danish Navy have been termed 'Orlogsskibe'. The word 'orlog' is derived from Dutch and means war; 'orlogsskib' therefore means warship. The largest ships are called ships of the line. This name has its origin in the naval tactics of the 18th century. A ship of the line was a ship with a size and firepower that allowed it to participate in the tactical formation called the line. According to their size the ships of the line had two or three complete gun decks. 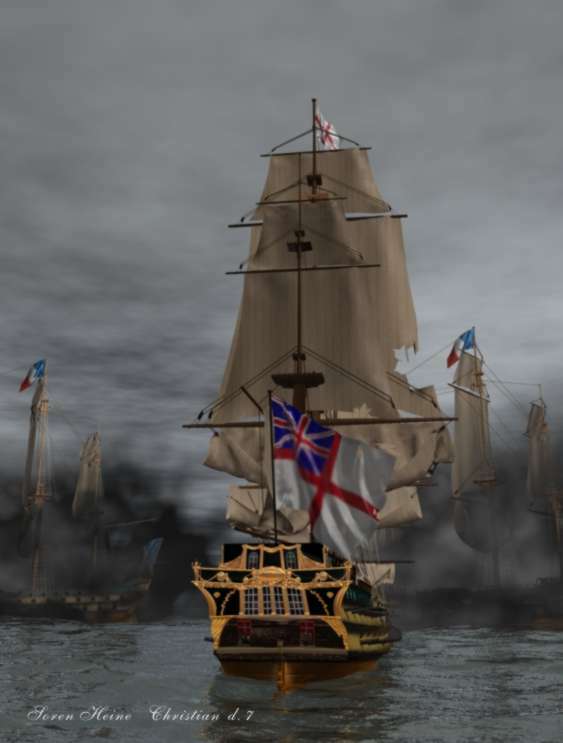 The ship was full-rigged with three masts and carried at least 50 guns. The three-deckers were about 60 meters in length and 15 meters in breadth. Their crew numbered well over 900 men.